An Illustrated History of British Theatre and Performance chronicles the history and development of theatre from the Roman era to the present day. As the most public of arts, theatre constantly interacted with changing social, political and intellectual movements and ideas, and Robert Leach’s masterful work restores to the foreground of this evolution the contributions of women, gay people and ethnic minorities, as well as the theatres of the English regions, and of Wales and Scotland. Highly illustrated chapters trace the development of theatre through major plays from each period; evaluations of playwrights; contemporary dramatic theory; acting and acting companies; dance and music; the theatre buildings themselves; and the audience, while also highlighting enduring features of British theatre, from comic gags to the use of props. 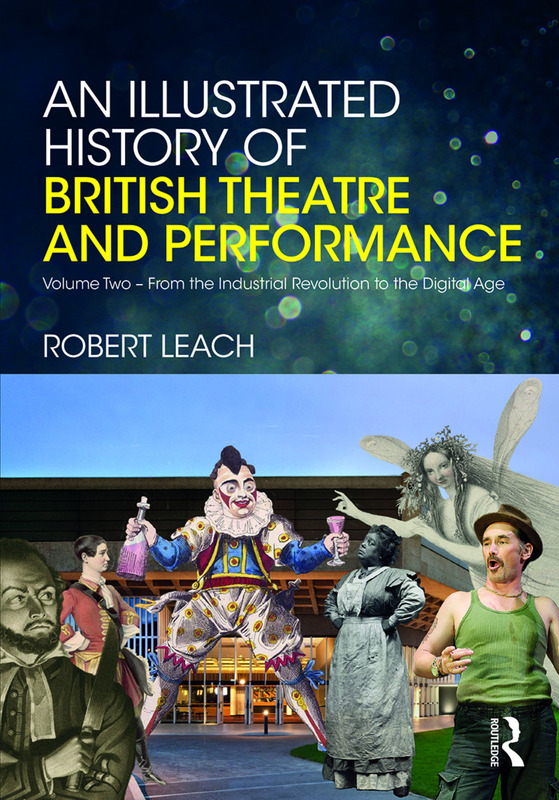 Continuing on from the Enlightenment, Volume Two of An Illustrated History of British Theatre and Performance leads its readers from the drama and performances of the Industrial Revolution to the latest digital theatre. Moving from Punch and Judy, castle spectres and penny showmen to Modernism and Postdramatic Theatre, Leach’s second volume triumphantly completes a collated account of all the British Theatre History knowledge anyone could ever need. Robert Leach has been school teacher, political activist, teacher of acting, freelance theatre director and academic. Not only has he taught at Birmingham, Edinburgh and Cumbria universities, he has also acted professionally in Britain and the USA, directed plays in Russia and Britain, and published five volumes of poetry.